What a wonderful year it’s been for the GreenParty. Membership of the Greens has risen by an extraordinary 117% and polling figures are constantly improving – we had our first double-figure (10%) result only yesterday. Truly, 2014 has been a landmark year for the Green Party. It’s wonderful to look forward to such a promising 2015. The past year’s successes wouldn’t have been possible without you – and we hope you’ll be taking part in our activities in 2015, whatever your level of involvement. Your talking about us, listening to us and helping us spread our message is essential for further progress. I just wanted to send a quick note to say – thank you for receiving our emails, fighting for our cause and helping us shape a very exciting future. I’ve got to add a special word of thanks to our national, regional and local staff, who’ve been a big part of our success, and laboured very hard and effectively to keep up with the “Green surge”. We’re able now to take on significant new numbers of staff – expect a listing early in the new year. And a huge thank you to all of the hardworking volunteers at local, regional and national levels, who give their time tirelessly in so many capacities. With 2015 in reach, now is the time to be bold! More and more people are recognising that they can use their vote to deliver a new kind of politics, and a fairer society, a society where every worker earns a living wage, a society creating jobs that you can build a life on. Could I suggest a Christmas activity, as you gather with family and friends? 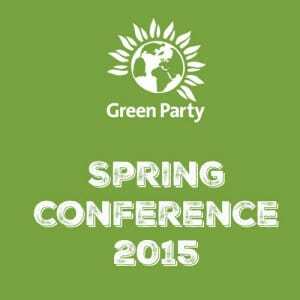 Try to convince one person to vote Green and join the ‘Green surge’!